This topic contains 12 replies, has 14,320 voices, and was last updated by Boss Meri 9 years, 4 months ago. 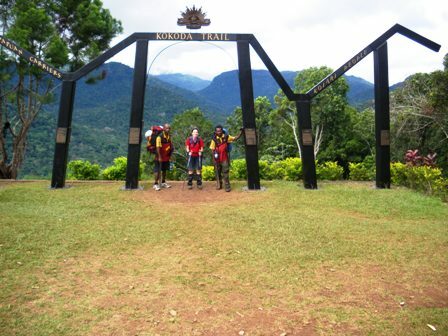 Yesterday I had the pleasure of meeting our latest trekker to head out on the Kokoda Track, namely Efrat Nakash. When Efrat first booked I thought it was a male name so was surprised to find in fact that we had a 'female' trekker heading our way! After talking with Efrat it was soon clear that she is a well travelled woman and that she is not here for the history; the challenge or anything else the track can throw at her, but for the walk; the culture and the people. 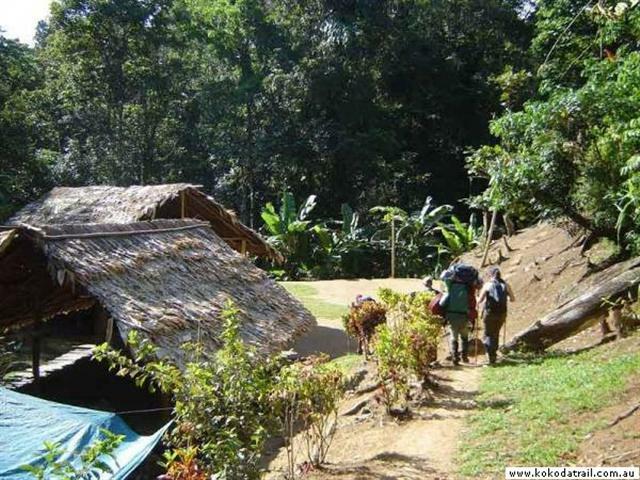 She wants to walk; eat; talk; take photographs of people; enjoy the experience of one of the world's great treks. 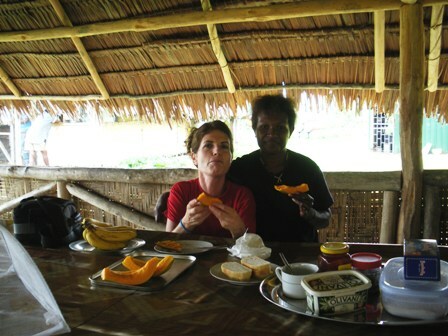 By the time Efrat leaves PNG she will have seen more of the country then I have since arriving here in 1972. As a photographer, I know she will take home to Israel fond memories of her time in PNG out on the Kokoda Track; her planned walk up Mt Wilhelm and her time on the Sepik River. After talking with her today it turns out she was able to look up information about PNG on my other website, http://www.pngbd.com which pretty much covers all of PNG! Today she commented that I have many names, 'Boss Meri' on this website and 'Aussie' on pngbd. However, if I continue to help bring tourists to PNG to not only walk the track but experience whatever else PNG has to offer, then setting up both websites and the hours I have put into them both will have been well worth while. This morning I collected Efrat from where she was staying around 7:15am and drove her to the airport to catch the flight to Kokoda. I informed her I would be flying over to Kokoda with her and she appeared excited by that. 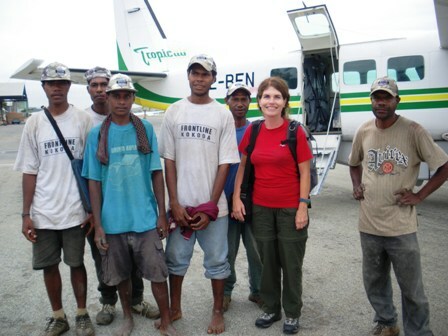 On the same flight were some of our porters returning home from their trek and Efrat insisted she be photographed along with them before they boarded the Tropic Air plane. The other photograph was taken while we were sitting in the terminal building and another inside the aircraft on the way to Kokoda. In Kokoda she was welcomed by her guide Davidson Eroro and Assistant Guide Arnold Jinga along with her personal porter Rommy. I had to take off as I was on a fact finding mission with regards to our Orohaven Kokoda Retreat but later I caught up with her in our traditional dining room where she was enjoying some refreshments including some fresh paw paw. 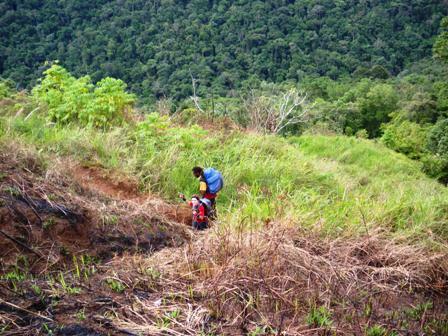 After my departure, Davidson had planned to take her on a walk around Kokoda. As Afrat already had her camera out, I am sure she may have found photograph opportunities along the way. I asked her what kind of photographs she like to take, to which she replied portraits of people. 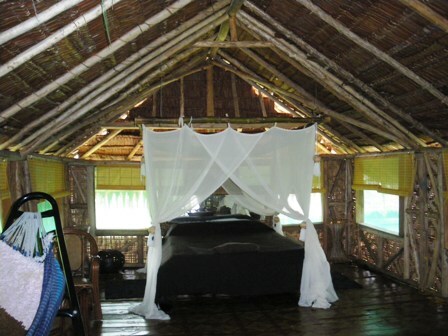 Unless she chooses to stay in another guesthouse, you can picture her sleeping on the bed shown here in this photograph as I asked our staff to make up this room for her stay there. If anyone reading this would like to check our Efrat's website like I did, you will be truly amazed at the places she has visited and the photographs she has taken. Here Efrat goes the extra mile in adding content that anyone else reading such a page could follow in her footsteps, its very well done, check it out for yourself! Thank you for sharing with the forum, the background of Efrat. Clearly she is a most talented photographer. The photos on her web site blew me away. 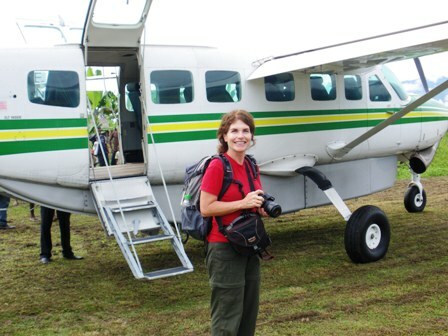 I look forward in great anticipation to her photos of her overall trip though PNG and the Kokoda Track in particular. I am sure many past trekkers would be interested in purchasing a selection of her portfolio of track photos should she wish to make them available. 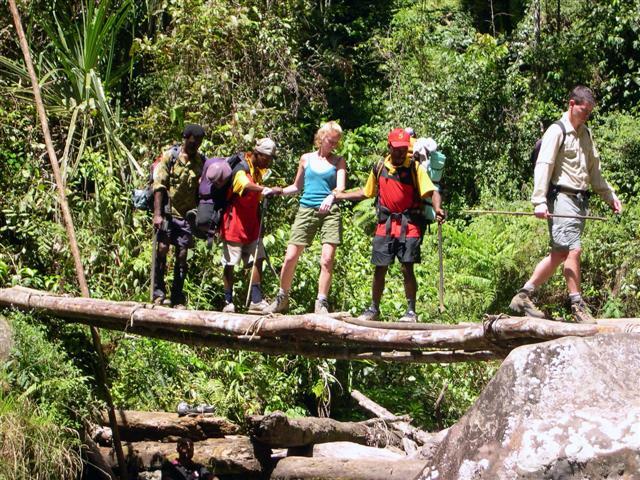 The fact that Efrat chose Kokoda Trekking Ltd (KTL) for her Kokoda trek is further evidence of your own professional status. 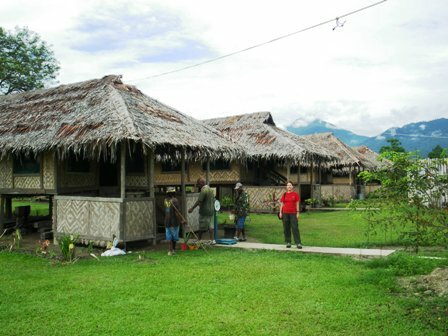 I had been intending to post earlier, my compliments for your work establishing Orohaven Retreat at Kokoda. You must be extremely proud of what your staff have achieved under your direction and absence in Port Moresby. As for Orohaven, yes am proud of what they have achieved and in future we can only improve on this. Today I sent over heaps of plants to help beautify the area. Can't wait for the bridge to be completed as also on the flight were four drums. One Kerosene; one diesel and two petrol. Also four gas cyclinders. I look forward to the day when they can be collected once again from Popondetta and driven up to Kokoda. 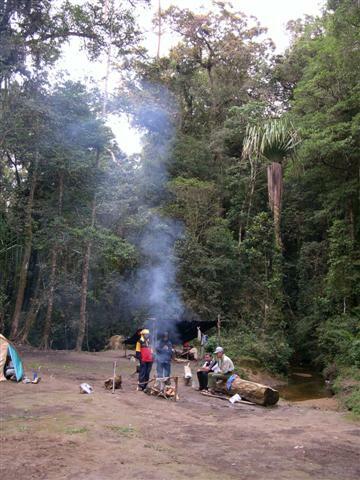 Trek Update: Davidson called in today by sat phone to say the group have reached Myola Junction 1900 campsite. At that point of time they were considering whether they would stay there the night or push through to Efogi. Apparently Efrat is doing really well with no problems whatsoever which is great news. 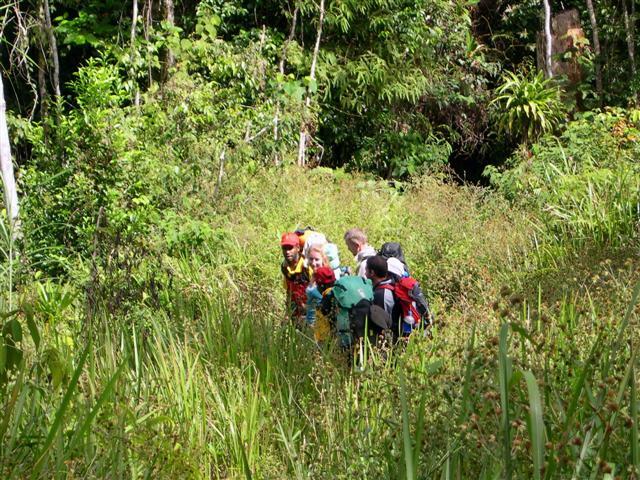 Some trekkers came off the track today who flew in from Kokoda. They mentioned they had met up with her when their paths crossed and that she seemed happy and ok.
As a friend of Efrat, I can say that she is not only an excellent photographer, but a very remarkable person as well. 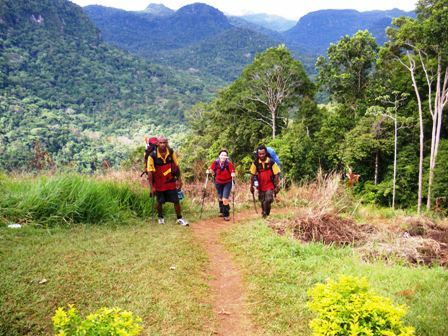 Way to go Efrat, and thanks to Kokoda trekking for this opportunity to follow her trek. 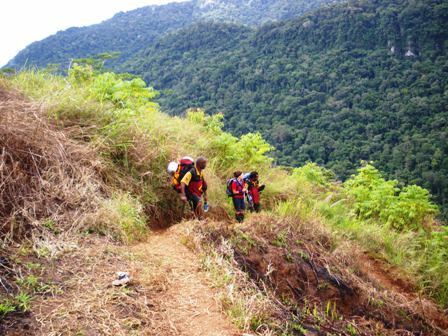 Trek Update 3rd August: Davidson called in this afternoon to inform us they have reached the village of Manari where they will spend the night. It appears everyone is still doing ok and on target to walk off the track this coming Thursday. Various areas around this village. 6th August: Heard from the track yesterday that they were at Ua'Ule Creek and would head out as planned today. They said it had been raining everyday but do not know if that meant all day or just part of the day. Whatever, it would have been very muddy and slippery. Will know more after talking with Efrat when I meet up with her later today. Congratulations to Efrat who walked off the track around 1pm today. Following a muddy slippery ride back into Port Moresby I caught up with her and heard all about her past few days on the track. Here she is heading up the last climb to Owers' Corner along with her guide Davidson, food porter Arnold and personal porter Rommy. I am sure she felt on top of the world as she walked under the archway at Owers' Corner. Efrat said it rained and rained the whole time except for the first day and this afternoon. Everything it seems was wet…her clothes; her towel; even her camera got wet. Efrat told me she was looking for something completely different to anything she had ever done before and says it was exactly that! So sorry not too many photographs but the ones she did manage to take turned out quite nice. Luckily they managed to find shelters along the way as she said to spend the whole time in a tent would not have been very nice. 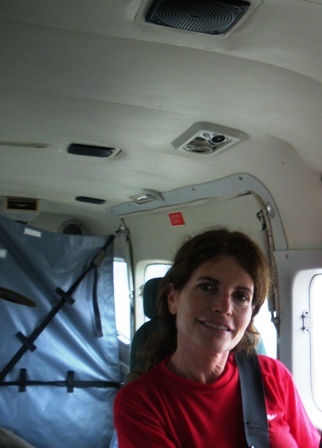 Now Efrat is looking forward to the Sepik River; Mt Hagen and climbing Mt Wilhelm so quite a bit of adventure left before she heads back home. 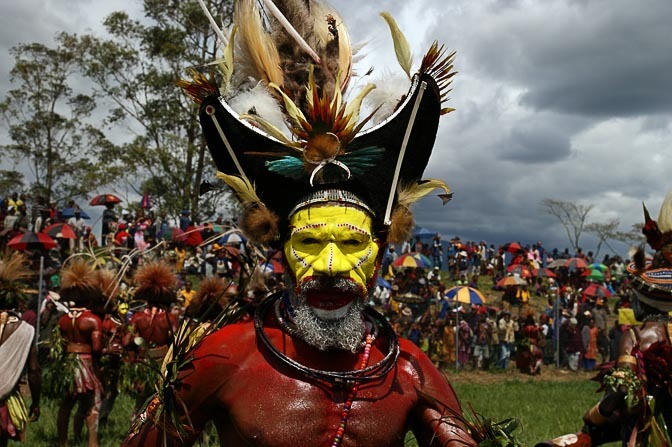 Turns out Efrat is a photo/journalist who has had stories published so hopefully she will write something in English that I can post on http://www.pngbd.com to promote Papua New Guinea to the world. 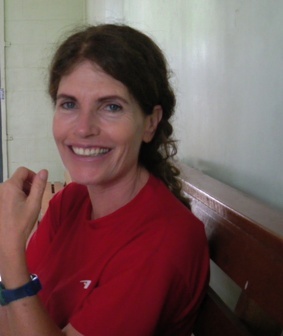 Thanks Efrat for choosing to walk with Kokoda Trekking. Our staff thoroughly enjoyed walking with you and we wish you all the best for your continued stay in PNG and when you get back home. I am excited by this post, thank you all for your warm words. I am back home after two amazing months in PNG. As Gail reported, we had rain every day the whole day. I couldn't take out my camera, and when I did, I realized it doesn't work. So I have only very few shots, which I will publish later. In the meanwhile, thank you once again to Rommy, my sweet personal porter, Arnold and Davidson, who were all so warm and friendly; and of course Gail and the rest of the support staff who made my adventure unforgettable. I will notify once I upload photos to my website.